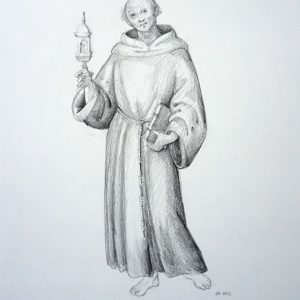 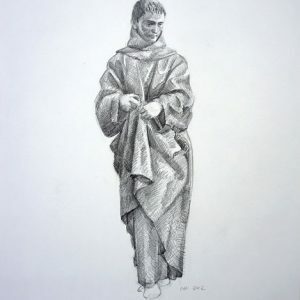 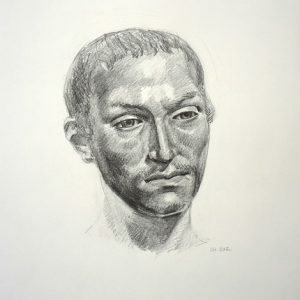 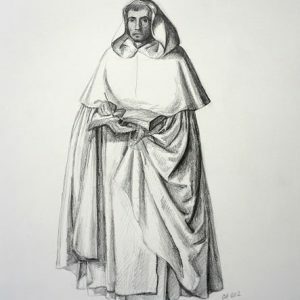 Study of Alonso Cano’s sculpture St. Didacus of Alcala. 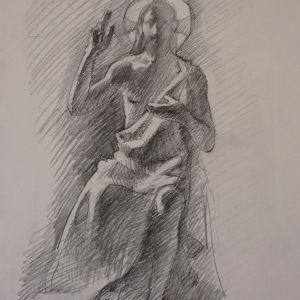 Study of Alonso Cano’s sculpture St. John of the Cross. 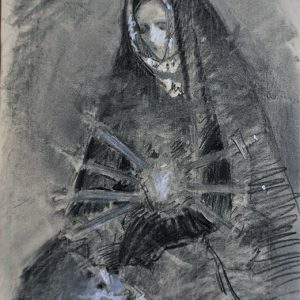 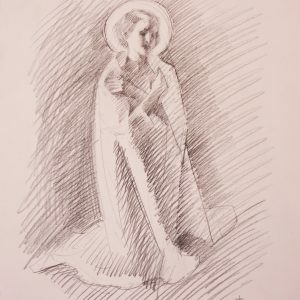 A sketch in preparation for Gwyneth’s 2019 oil painting, Our Lady of Sorrows. 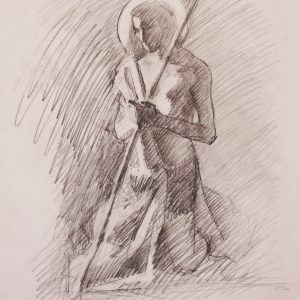 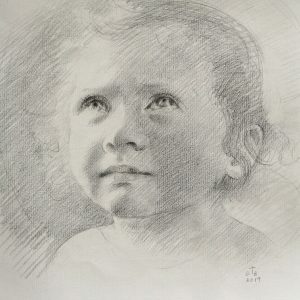 An imaginative sketch based on a live model for a 2019 painting of the Christ Child. 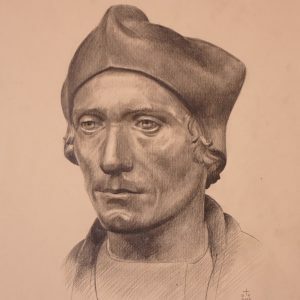 One of three detailed studies completed in preparation for Gwyneth’s 2018 oil painting, St. John Fisher. 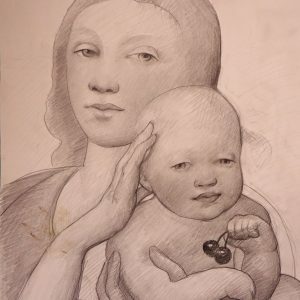 Inspired by the work of Perugino, this drawing was the initial concept sketch for Gwyneth’s 2016 painting, Madonna and Child with Cherries.